I purchased the Cecilio Solidwood Ebony Electric Violin CEVN-1 from Fiddlershop, love it, awesome customer service, thank you Michael and Pierre. Going on one one week of practice, have very limited flexibility in left arm and hand, and suffering from major pain in my left shoulder, forearm, and wrist. Cannot hold the violin properly and barely able to finger E and A strings. I believe this is mainly due to having had in 1980 left shoulder surgery with associated nerve damage, surgical screw implant, and being 50 now having that fun aspect of Osteoarthritis. Also, limited flexibility due to muscle growth throughout the years bodybuilding. I play electric guitar and bass, and experience some discomfort, however, it is manageable. So, I would assume that learning the Cello would be much less taxing on my left shoulder, forearm, and wrist. I was planning on eventually getting the Cecilio Electric Cello Outfit CECO-1 when financially able to learn and incorporate in my musical projects with the guitar, bass, and keys. Any comments would be greatly welcome and appreciated. Thank you for your time and consideration. I have a similar issue. When I first started back practicing the fiddle I wasn't able to get through a single exercise without stopping two or three times because of left hand pain and shoulder pain. So I would play about a third of an exercise and put the fiddle down. Maybe 10 minutes later I'd play another third, and so forth. After a couple of weeks I can now get through an exercise without major pain. Also, I took about 4 days off from practice due to a trip I made. When I came back my left hand strength was greatly increased and there was very little pain at all. I think a lot of my pain was caused by not using a shoulder rest. Getting a Kun really helped. My advice is to take it very slow and don't overtax your muscles. People here in the forum with a lot more experience can give you the best advice. Good luck! Is the weight of the electric being an issue? I agree with Dave, if you don't have a shoulder rest I would definitely get one, I use a Kun also which works really well. Hope I have been able to help at least a little bit! @Ferret I have a Ragetti also, love it! If you haven't already, I would definitely recommend trying a shoulder rest. I use the Bon Musica, and got it at Fiddlershop. I like it because it's very adjustable. The Cecilio electric that you have (I own one too), is flat and open on the back, whereas an acoustic has a curve. So it's harder to hold with your chin and shoulder, plus the weight. When you have to hold the violin with more of your hand, it limits your reach and mobility along the fingerboard etc. Also, you're probably exercising some muscles you forgot you had, lol - so give yourself some time to get used to it all. Hope your pain goes away. I think it may be a temporary set back. If you are forbidden from any physical exercises, seek expert opinion from either a professional violinist or a doctor/physiotherapist or both. Otherwise, do some exercises for shoulder and neck. The pain will go away in the same amount of time it took to set in. We hope your condition will improve and we shall soon be hearing you perform. Good luck. I imagine that there is a chance that learning the cello could suit you better but not necessarily. If you were to learn to play the violin without stressing your arms, shoulders and hands you would most likely be OK. In any case, I wish you luck if you decide to give it a shot. Hi ARCoyne, I resently went through something similar with Pain and an Electric violin. I too have had left shoulder surgery. With the EV there is a great issue with weight, most weigh over 1500g compared to around 550g for an Acoustic. My solution was rather radical (see Frankenstein in the Mod forum). The reduced weight made a huge difference. So you might just need to switch to an acoustic violin. But I don't see that you need to change instruments. But I wish you luck on what ever you decide. I haven't had a shoulder injury or surgery, but still I had trouble at first with playing electric. Tension headaches, achey shoulder, and left elbow, mostly. Shoulder rest fixed it right up. I'm not a huge fan of shoulder rests for acoustic. I prefer to play acoustic violin without one. But the greater weight and flat back of the electric seems to make it a necessity for EV. You'd think, that times being modern enough to have electric violins, that they'd use some of those space-age materials and construction techniques to bring the weight down to comparable with acoustics.. And come up with a more ergonomic design. Maybe some electric violins are better, but a lot of them are pretty heavy and not all that well balanced or comfortable to play without a shoulder rest. I don't have any injuries.. just a bit of arthritis. But when I first started playing violin there was a pain curve for the first 6 months or so. I never thought I'd be able to keep it up or play long. I do use a shoulder rest (always did though)... but 10 minutes, turned into 15 minutes... into hours. 🙂 and now the hand tightness, cramps or elbow and shoulder issues went away. I guess I needed to get used to the postures. I am noticing lately as I am working on new pieces, that I actually get a little something in my left shoulder.. but usually it is when I am working on something new or advanced. Thank you all so very much for your support, advice, and sharing your experiences. I have sent the EV back after talking with an Orthopedic Surgeon who has a lot of experience with my surgical implant and Ulnar Nerve issue and highly suggested the change to Cello based upon my limitations. I am very excited to learn the Cello, and a little sad about the EV. However, I am actually a bigger fan if the sound it produces along with being better physically suited. I look forward to my journey with first an EC then Acoustic down the line. Will keep ya'll posted. Thank you all again my new friends. @ARCoyne: You've probably made a good choice with a cello. Don't let the cello keep you away from this forum though, all stringed instruments are more than welcome here. A cello is nothing more than an over sized violin anyway. The Cello is a beautiful instrument, I'm sure you'll enjoy learning it. I hope that all goes well with the Cello. Its a beautiful instrument. It's a shame we lost a fiddler but we now have part of a string quartet. I'm sure you know what you are doing but remember to find the most relaxed way of playing that cello so as not to hurt yourself in the future. 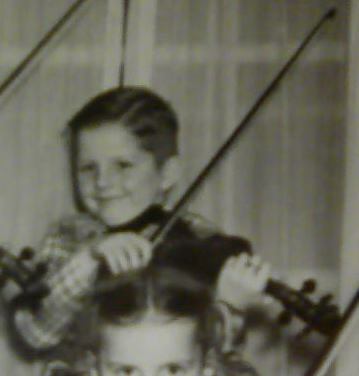 My wife at one time took cello lessons. As I listened to even her beginner practice I realized how beautiful the sound was. I read that the cello was close to the human voice. I did not want to transport a cello and that was that. But now, I wonder if an electric cello is easier to carry/move ??? Good luck with your adventures in the Cello. I love love the sound. I miss my Cello. Someday I might get another. I agree with the others. Don't be a stranger. Wishing you the best of luck with the Cello. Love the sound of them! And I also agree with the others, please don't be a stranger around here. We're one big happy string family, and enjoy the variety. ...............please don't be a stranger around here. We're one big happy string family, and enjoy the variety.